It's unavoidable that from time to time we all need to see a doctor, regardless of where we live. 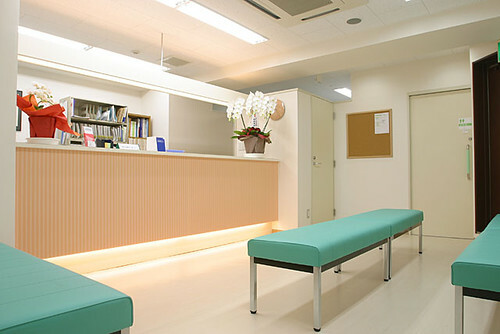 Recently I had my first experience with healthcare in Japan, so I thought it might interest my readers to find out what it was like. It began when I started having some pain in my inner ear, accompanied by a sudden build-up of wax. Initially I thought I would just wait it out to see if it cleared up on its own, but when I woke up on a Tuesday morning to find that instead it had become worse, I knew I had an ear infection, and that it was time to have it checked out. Admittedly I was a bit nervous not knowing at all what to expect. As always, there was also fear of being unable to communicate clearly. I started thinking about the many pages of forms that I have always had to complete when going to see a doctor in Chicago, and I wondered how I would be able to understand all the Japanese medical and healthcare terminology. Something had to be done, though, so I had no choice but to figure it out. First, after arriving at work, I emailed my wife for a little help since I didn't know which type of doctor I needed to see, nor which Japanese characters (kanji 漢字) are used for this. She taught me that for cases like mine, like in most countries, there are ear, nose and throat specialists, or jibi-inkōsenmon-i (耳鼻咽喉専門医). A quick internet search revealed that there was a jibi-inkōsenmon-i in the Tokyo neighbourhood, Kanda (神田), which is just a 4-minute walk from my office. I decided that I would walk over there diring lunch to check out the situation. After a very busy morning at the office, which left very little time for an actual lunch break, I walked over to "Clinica Kanda" (クリニカ神田) in the mid-afternoon, and found a very simple, no-frills, somewhat institutional-looking but very clean doctor's office. I nervously stepped up to the reception desk and politely told the nurse that I wanted to see a doctor, apologising for showing up without an appointment. She was very friendly, assured me that my walk-in was perfectly fine, and after asking me if I could read Japanese, gave me a form to fill out. I sat down and looked at the form, and I was a little bit taken aback! One page, large type, single sided! "Wow, really? Awesome!" I thought. A native Japanese person could probably fill it out in less than 1 minute; it took me about 4. I brought the form back to the nurse and after giving it a quick look-over she asked to see my insurance info. I pulled out my National Health Insurance Card (kokumin kenkō hoken cādo 国民健康保険カード) and presented it to the nurse. She asked me if it was OK for her to make a photocopy of it, to which I of course replies "yes." She came back after a few seconds, returned my card and invited me to have a seat. I sat down and waited for about 3 or 4 minutes and was called back into the doctor's office! At this point in my post, I would like to remind my readers that I had no appointment and simply walked in off the street less than 10 minutes earlier. I certainly had no referral from a primary care physician or anything like that (because anyway there's no need for such a thing in Japan). As I was guided to the medical examination area, I reflected on going to see my doctor in Chicago several months earlier, and how the earliest possible appointment was 4 weeks out, and how after arriving on time I still had to wait close to 45 minutes before actually seeing the doctor. "What had happened just now? Why was this so easy? Is this perhaps the way it's actually supposed to be?" I wondered. The doctor who I saw at Clinca Kanda is an older gentleman, definitely a no-nonsense kind of man, but at the same time quite friendly. I was shown to an examination table that was fitted with some of the latest ear, nose and throat specialist's technology. He examined my ears using a tiny video camera, complete with a monitor so that I could watch while listening to his explanation. I have to admit that seeing a computer monitor displaying live action footage of the giant waxball that had formed in my ear was a tiny bit on the embarrassing side (hahaha), but it was pretty interesting as well. The doctor took care of the immediate problem and then showed me the bright red blotch on my ear drum which is a classic ear infection symptom. While writing me a prescription for antibiotics, he explained their usage to me. He asked if I had any other questions and told me that if I still had pain after the meds run out I should come back. The nurse showed me back out to the reception area where I was presented with my prescription and my bill-- ¥1,480 (about $15). Wait, really? Wow, ok, great! She then pulled out a map and gave me directions to the local pharmacy (which is actually inside a convenience store). It was right across the street, but despite that, being shown a map and given clear directions anyway is just part of customer service in Japan. I crossed the street and went to the Natural Lawson convenience store, which is like a 7-11 version of Whole Foods. I walked into the pharmacy section and since it was my first time to see the pharmacist, I had to fill in a short form about meds I'm taking (none) and allergies I have (none). The pharmacist was super friendly, taking her time explaining the meds to me and how and when to take them. She also gave me some basic, general info about pharmacies in Japan. She filled the prescription and rang me up-- ¥500 (about $5). So to summarise, I took a short walk to the local ear, nose and throat specialist, walked in without an appointment, filled out a sub-minimal amount of paperwork, received excellent care, paid about twenty bucks in total (which is what I used to pay just for my Blue Cross Blue Shield of Illinois pharmacy co-pay), and half an hour later was walking back to work with my immediate problem fixed up and medicine in my hand! What was I worried about again? By that time I had forgotten all about any concern that I had. Three days later my meds were all gone and so was my ear infection. Thank you Clinica Kanda, Natural Lawson and the *awesome* National Heath Insurance Program of Japan!